Ecocreando regala al mundo esta tecnologia!! BOBINA B.A.C - Bobina bifilar cerrada autoinduttiva B.A.C. Se autoalimenta de las frecuencias en el aire y por las caricas electricas de los fluidos. Visita nuestro forum por preguntas, contestaciones y discusiones. * A fluid that passes through the tube, is magnetized by the electromagnetic field created by the coil around it, for Induction effect. * The passage of a fluid, which, though weak, has a small electric charge, in a tube, induces a power that charges the coil wound on the tube itself, which in turn creates an electromagnetic field inside the tube in the sense of its length. * By increasing the number of Volts at the ends of a coil, the magnetic field generated by the coil will be bigger. In addition, the fuel magnetized not only is deposited as sediment or soot on valves, injectors , cylinders and candles, but also cleans , from the previous scale .
" Water Solution + Minerals and Metals." Magnetized Water for the molecular configuration that assumes by carried tests, seems to have a tendency to "expel by itself" the dissolved substances. That is, it tends to make INSOLUBLE part of the substances, and begins to clean and descale the inside of the tube where it passes. It is understandable that can be seen with the naked eye residuals and grains of thickened substances expelled from the water, on the bottom of glasses and clear bottles. After applying the BAC COIL on the gas pipe, the boiler produces more hot water in the same position of the mixer. After applying the BAC COIL on the gas pipe, the flame is stronger at the same Adjuster set of the stove, gas burns better, warms more, there is also less pollution inside the home. Cleaning surfaces without leaving marks. Cleaner and residue-free glasses and surfaces. Water initially had a high calcium dissolved and the flavor was not pleasant at all. After application on sink tube, cold water on,, you start more and more 'to taste the water is' much more 'light' on the mouth. Washing machine washes well no streaks and stains, no additives, only detergent capsule at 60 degrees. After a few washes the washed clothes are longer soft to the touch. 1 to diesel, but the difference is minimal . 1) Riduzione di Calcare, Fluoro, Sostanze Chimiche disciolte e Metalli Pesanti. diminuire le porzioni delle pietanze. farmaci da assumere nel tempo. 8) Persone, Piante e Anima-li più vigorosi e sani. 9) Scarichi fognari piu' puliti e quindi minor bisogno di manutenzione e spurgo. 11) Sonno migliorato, piu' riposante e piu' intenso. Si tende a sognare di piu' e a ricordarsi meglio i sogni. Chi non sogna da anni anche, ricomincia a sognare. meno pelo ed è più lucido. La loro salute complessiva migliora notevolmente. piscine con acqua sempre in movimento. 15) Cattivi odori quasi assenti, dagli scarichi della toilette. di “Interferenze Psichiche”, diurne e notturne. le fiamme di fornelli da cucina e caldaie a gas. quindi minor residui inquinanti nell'abitazione. a parità di gas, quindi l'acqua della pasta bolle prima. 3) Minor consumo per scaldare acqua calda con la caldaia e le stufe a gas. 1) Migliore combustione del carburante a tutti i regimi. 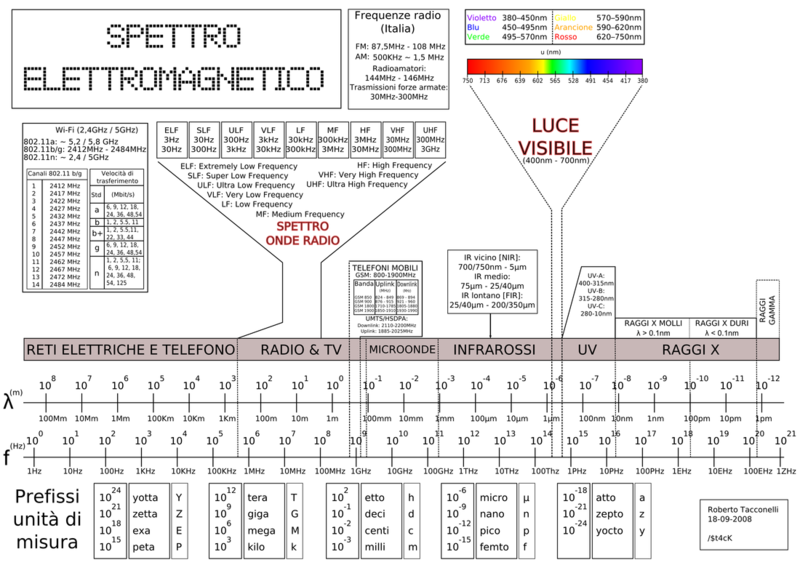 Pubblicato anche comeCA2079220A1, Altri 6 »InventoriVelagapudi M. RaoAssegnatario originaleRao; Velagapudi M.
Nikola Tesla explains that a standard coil of 1000 turns with a potential of 100 volts across it will have a difference of 0.1 volt between turns. 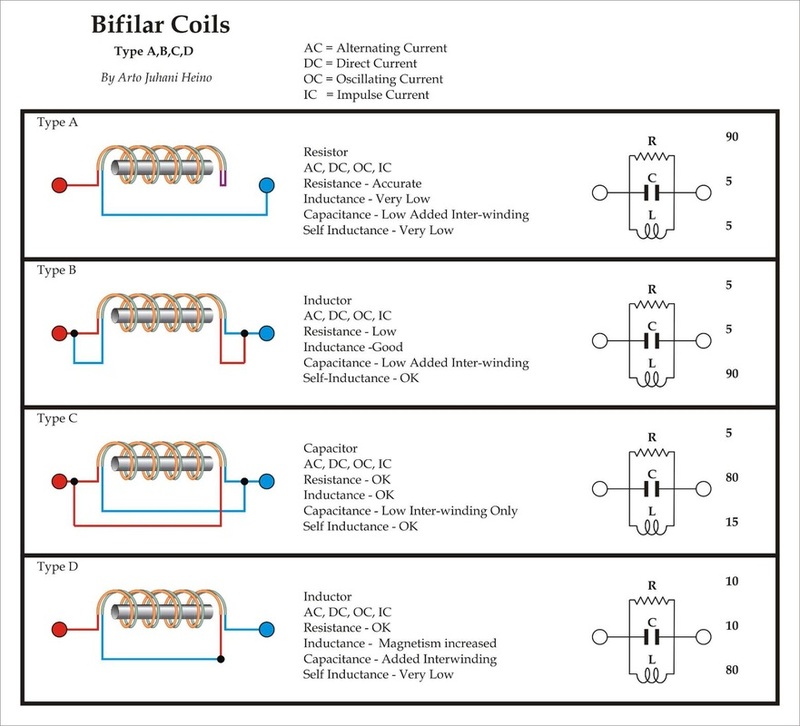 A similar BIFILAR coil will have a potential of 50 volts between turns. 1) Cut 2 wires of the same length (at least 2.5 meters each) of insulated copper wire 1.5 sq mm . Do three or four laps early and fix immediately with tape. It will be easier winding. Secure the end with tape. 3) Turn the wires towards the opposite end up to overlap in length of at least 5 cm . Remove with a pair of scissors the plastic insulation at the ends of the wire for at least 2 cm. ends of the wire together and tape the whole thing. Further tests are to be done , such as the use of more wires , greater or less than 1.5 sq mm wire size , isolated steel wire, insulated wire of aluminum, other materials and coatings . In developing further improvements with other technologies , rate of work , different materials, and a new combination for a solution with higher returns . Big Great Thanks to Andrea Maestri for first video e Pierluigi Coppini for make the second video. and many type of dielectrics and materials for the coils, different number of turn for different frequency range.